We've been receiving a lot of emails from homebrewers outside the US, and it's awesome to see new things are happening. Out of Hong Kong, we have the self-title label: Hong Kong Home Brew. This may be one of the smallest foreign labels that we've reviewed here, but that's what makes it interesting. Today, we're looking at their new Clay which promises firm hold with matte finish. Beyond that, I hope to find a product that can withstand heat and humidity given that their hometown will require that. I'll be straightforward and honest here. I don't like the scent. It's like someone mixed shampoo with a household cleaner and landed on a citrus dish soap. I don't mind that smell with cleaners, but I definitely mind it with a hair pomade. The design is minimal -- so minimal that I just realized I never even commented on it during the video. That is literal the first time I've ever done that. Minimalism is the tasteful removal of unnecessary things -- not the refusal to do things. This design is too minimal. Aside from the 'aesthetics', the jar is your standard 4 oz. according to label and plastic all over. The consistency is like a mix between a clay pomade and a paste. It's not exactly thicker than other clay pomades, but rather, it scoops out more like...you know how some pomade develop a skin on top. It scoops out like that but kinda all over. It breaks down easily and quickly starts to tighten up a bit. Don't worry though. The grip won't come out any further than that, and you'll have a reasonably easy time applying it into your hair. You'll get some rather nice texture. It'll span across the entire spectrum because this product lacks a counteracting force such as stickiness or tackiness. This will also effect the resilience of this pomade, but we'll talk about that later. I'd honestly say the hold is more of a medium when compared to the other clay we've seen. 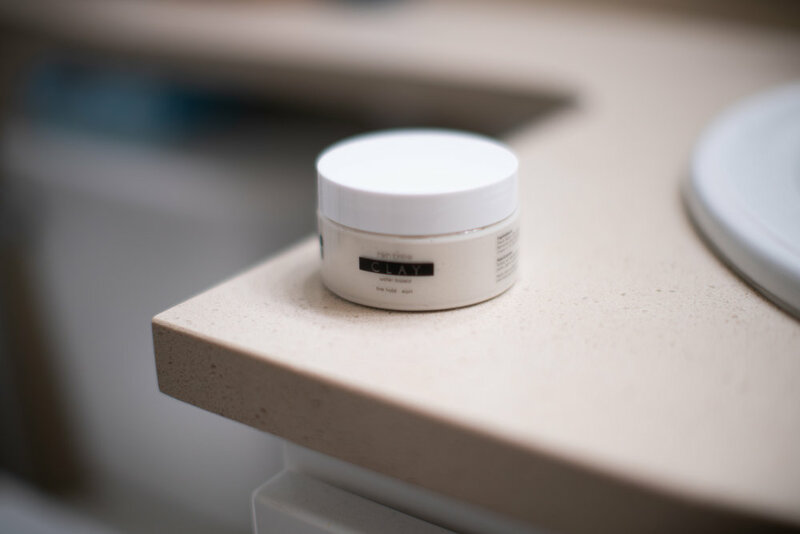 It's weight is light, which is how you'll get the volume typically seen with firm hold products. 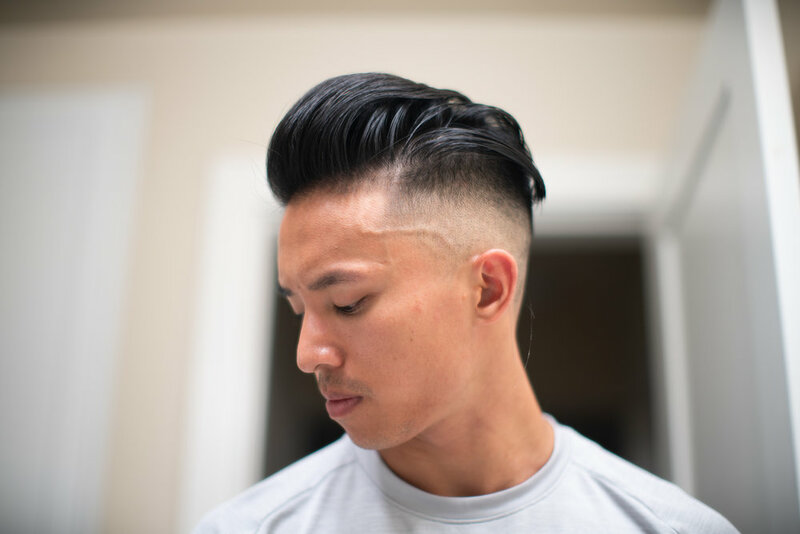 While getting the vertical volume is a breeze with this product, the lack of tackiness and weight makes it difficult to contain the pompadour horizontally. This pomade couldn't keep my hair together, and it fell apart on the way to the beach. 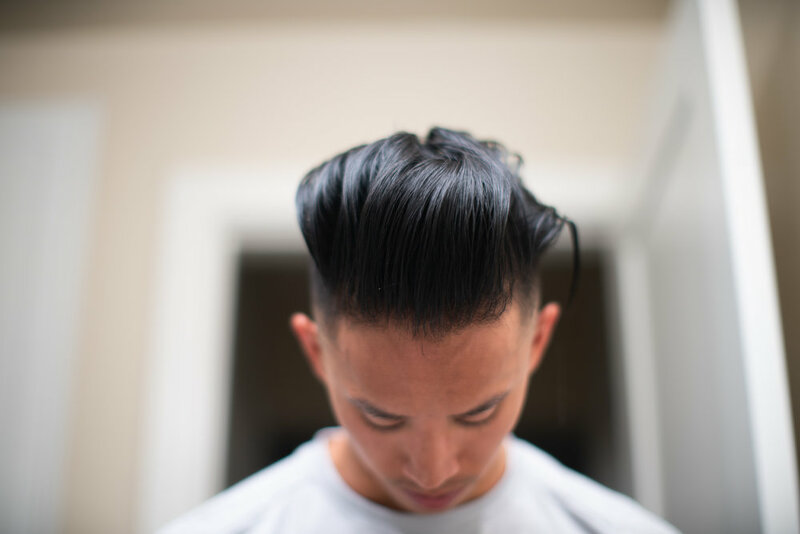 Now, we've said many times before that we usually don't expect texturizing pomades to hold onto a pomp the whole day. This one takes it to the extreme. The lack of tackiness really makes it susceptible to falling apart -- first sideways. The lack of tackiness also makes it difficult to keep the product out of one's face during the day because as your try to finger comb it back, it can't catch on anything. If you have access to water, then be sure to use it. It'll help reset the product in a way and also, provide some temporary stickiness. No...but you will feel the residue on your forehead if your hair continually falls forward. Can be removed with just water and handiwork, but I suggest just throwing in shampoo to make it done quick. While Hong Kong Home Brew's Clay can't stand up against the best of what's available here, we must acknowledge that it is a formidable offering from the opposite side of the world. If I lived in Hong Kong and wanted to support a local label (and also not pay huge sums to import), then I would definitely support this label. We should only expect them to grow from here. Back to this product in its current state, its strongest accolade resides in its ability to provide vertical volume. If not for falling short on the other aspects, I could really get lost in admiring the height and shape. If you're interested, they're currently offering the product here, and you can also read more about what they're up to.